Dubai, UAE, May 14, 2017: Celebrate in style with our beautiful Monsoon Children's wear collection, bursting with stunning sequin dresses with floral embellishments and the accessories to match, in sweet pink and ivory tones. For our older girls, Storm by Monsoon Children offers a more grown up style with black ruffle blouses teamed with full patterned skirts. Glitter T bar pumps and pearl pendent chokers complete the look. Gold metallic complement whites and pinks in the Accessorize Angels collection. Traditional Alice bands have been given a floral makeover and bows feature on the prettiest of bags and ballerina slippers. Embrace effortless style with Accessorizes mini buckle bags and wear across the body for a relaxed evening look. Large totes in gold and rose pink are sure to add glamour to any night time outfit and will most certainly steal the spotlight. Chokers remain a firm favourite in the accessory world and are more statement than ever before. 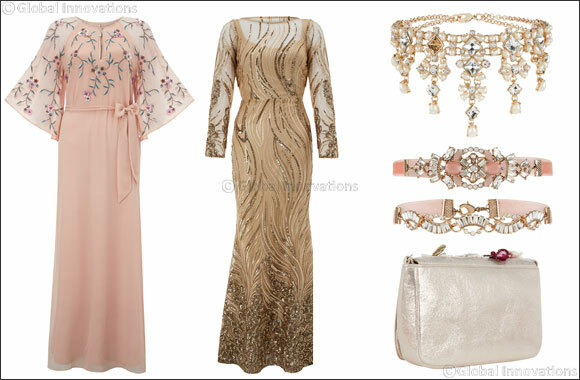 As the Holy month progresses towards Eid, styling gets more extravagant. Monsoon's collection of eveningwear hits dazzling heights with maxi dresses dipped in sequins and separates with intricate embellishment. The Ramadan collection is available from May in Monsoon, Accessorize and Monsoon Children stores throughout the Middle East, including the UAE, Bahrain, Kuwait, Qatar and Oman.